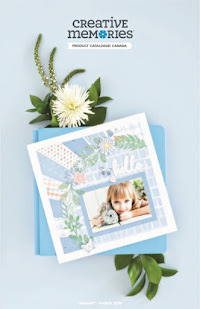 Hello scrappy friends and happy National Scrapbook Day! Isn't is great that we have a whole day to share with scrapbooking, card-making and papercrafting friends all around the world?! Love it! I have a bunch of photos from our road trip last summer to the Okanagan, Vancouver and Whistler B.C. that I haven't scrapped yet, and when I saw the new Gallivant collection I knew it would be perfect to document that trip! 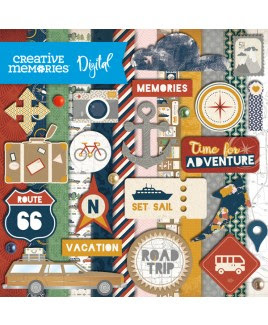 The bright colors, fun patterns and retro icons will work great for so many different types of trips and travelling layouts, and I know I will be using them for cute "Bon Voyage" themed cards as well! 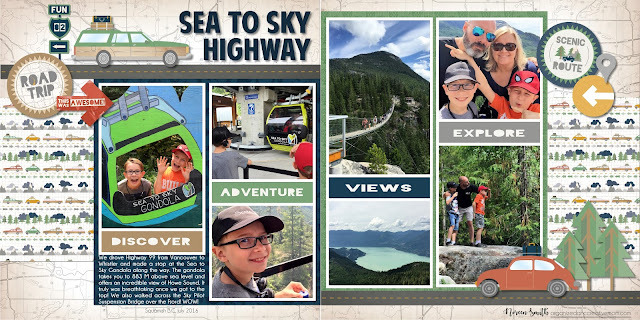 My first layout is a double page spread that I was able to include seven photos on, detailing our adventures along the Sea to Sky highway. Those adorable little car and station wagon icons are perfect for road trip pics! And adding digital shadows to them really makes them pop, just as if I was using foam squares underneath! My second layout is a one page design based on the monthly sketch provided by Canadian Scrapbooker Magazine's Sketchy Gallery, and designed by Kerry Engel. I love to create sketches, but sometimes I need inspiration and I enjoy using other people's sketches for a fresh approach! 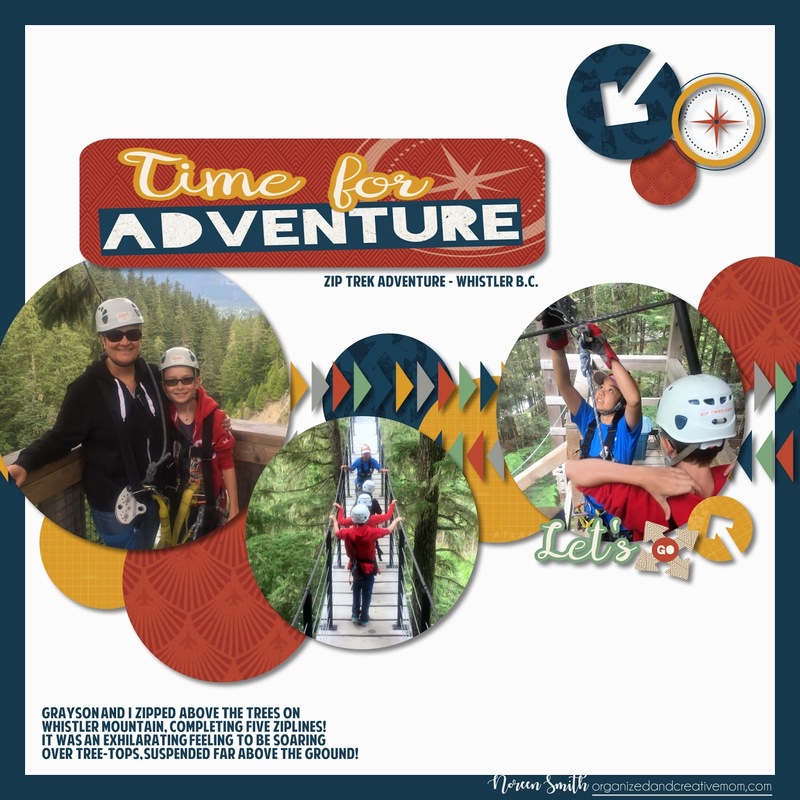 May's sketch featured lots cute circles, so I made sure to "cut" my photos of my son and I on a Zipline adventure at Whistler into circles to mimic the sketch. I love how digital scrapbooking gives you the ability to adapt your photos, shapes, colors, textures so easily! 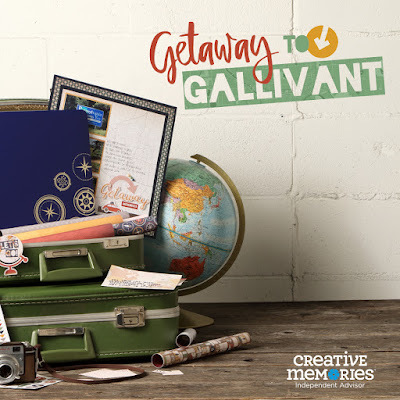 The physical and digital versions of this super fun Gallivant kit are available on my Creative Memories website: click here and then go to "What's New" or simply search "Gallivant" to shop! And if you are shopping today, make sure to use the code CMNSD10 to receive $10.00 off your $25.00 purchase! 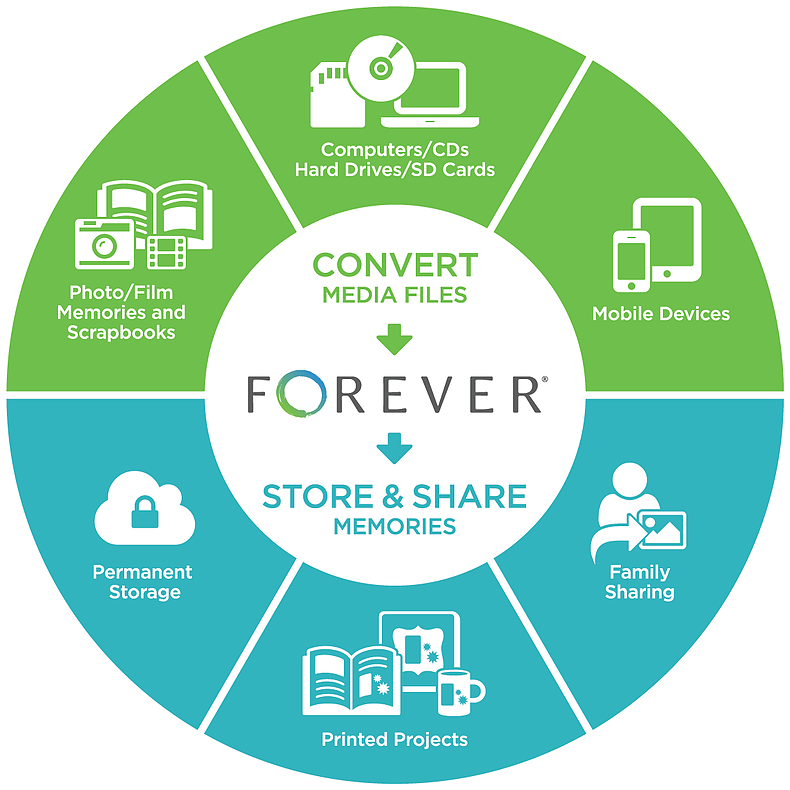 But hurry...this offer ends at 6:00 pm CST Saturday May 6th! 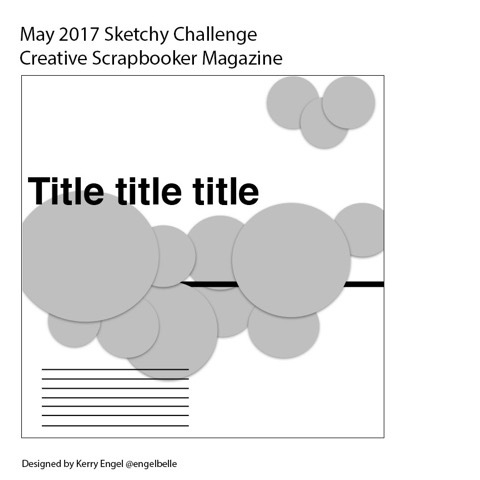 Creative Scrapbooker Magazine is sharing NSD inspiration all day long and offering the chance to win one of five $100.00 prizes! If you haven't already dropped by, make sure to go to their blog to leave your comments for your chance to win! Finally, what are you doing today to celebrate NSD? 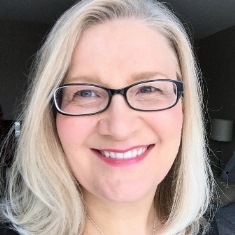 I'd love to hear from you...please leave a comment and tell us your plans! I'll choose one comment at random on Monday May 8th from all the comments left and send a Gallivant Embellishment pack to the lucky winner! You can also post a photo or comment on my Facebook Group for a chance to win! I have to work this weekend, so fitting in a bit of scrappy time in the evenings! Going to try getting a few challenges done! I have to work this weekend, so getting some scrappy time in the evenings. Trying to get a few challenges done!